Mr. B and I LOVE matzah. Pardon the poor hand model. We eat it with hummus, with chocolate, for breakfast, and for lunch. Also, snacks. This is weird to most Jews because American Jews spend years and years having guilt Passover matzah forced upon them by previous generations. But we only really tasted it long after we came to America and never had to give up the bread per se; it was more like a complement to our diet of shrimp and sin. So for us, when matzah shows up in stores in the spring, it’s a treat to be hoarded throughout the year. 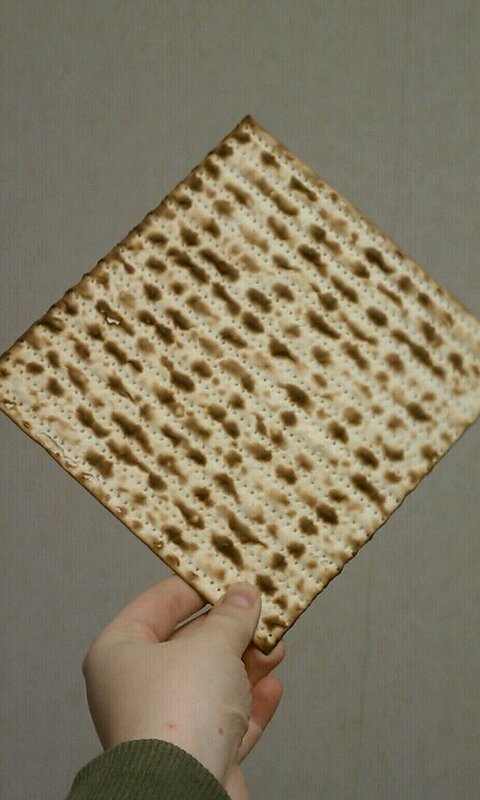 However, we are very particular about the kind of matzah we like. It has to be lightly burnt, as shown above, cannot be yellow or white or egg or purple or whatever it is they do to matzah these days. So usually we have to wait to troll the grocery stores near us for the perfect brand, which is Yehuda straight up from the homeland. This is the real stuff right here. Sometimes, it can be hard to find Yehuda in stores. 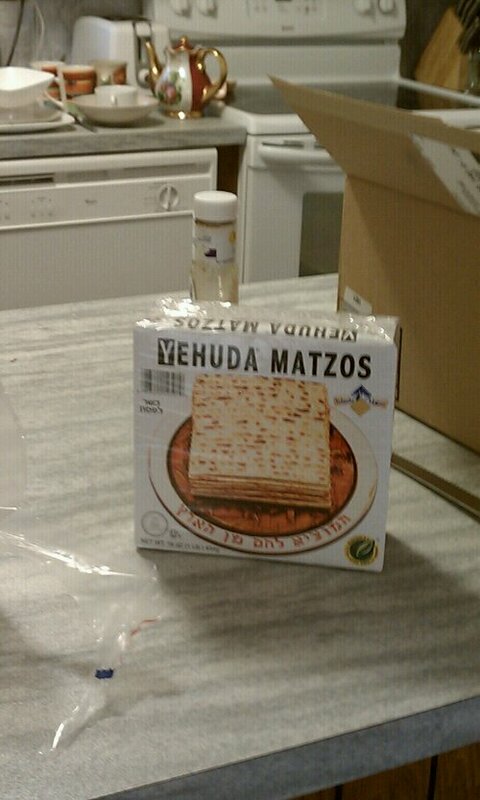 However, last week, I realized that YOU CAN BUY MATZAH ON AMAZON. So we did. We bought a lot of it, at a premium. What will we do with it? 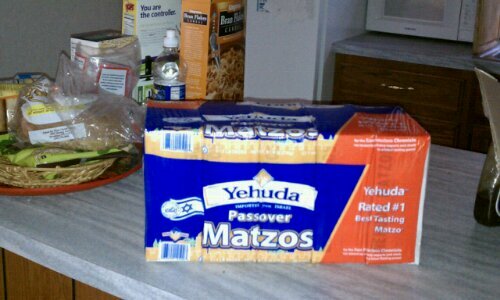 Probably eat all of it before actual Passover.